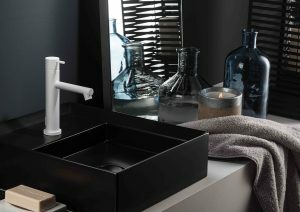 Ritmonio enriches the offer of its two iconic models: Haptic and Diametro 35 series are now also available in black and white finishing. A timeless, simple and classy combination, in line with the main features of the entire brand offering. 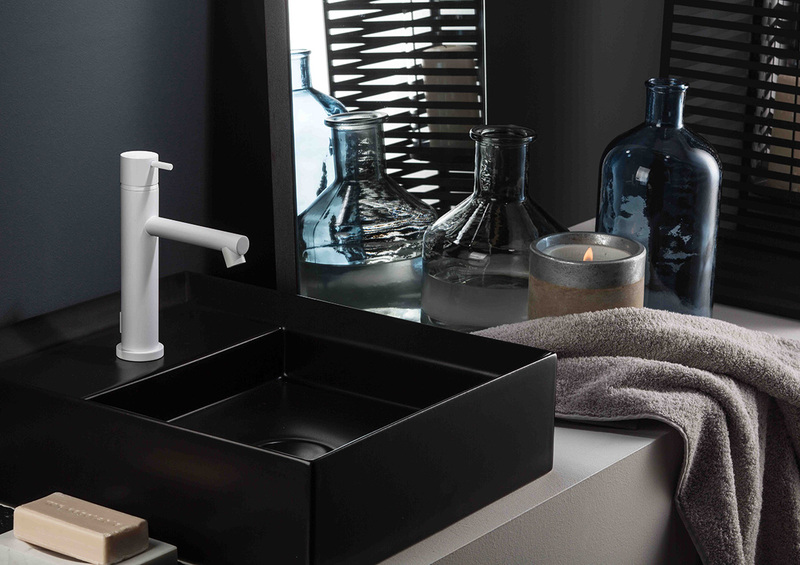 A contemporary design combined with the tradition of excellence “made in Italy” makes these products unique: the special mat texture in black and white, besides ensuring excellent adhesion and resistance, makes the products elegant and exclusive. The study on these new finishings has allowed us to achieve very high quality standards: they resist to corrosion, light and water action, combining inalterability and ease of maintenance with a delightful aesthetic, suitable for enriching any bathroom environment. Not only products of excellence, but also authentic inspiration of design – polyhedric and glamorous – signed by Ritmonio, where the chromatic dichotomy meets the trends of elegant luxury with a strong visual identity that makes the style of the Company immediately recognizable. Products that are capable of satisfying to the most diverse needs of architects, designers and end-users, offering unique scenarios and special details that fit well in different spaces, from residential to contracts.